QFor B.Arch, what are the qualifications which should be completed? For B.Arch, what are the qualifications which should be completed? A minimum of 50% aggregate marks in the qualifying examination with Mathematics, Physics & Chemistry subjects and also shall qualify in NATA/ JEE Main. Follow the link here to know more details about Eligibility Criteria. QI am B.E. from Civil branch, can i apply for the IT dept. for the exam? I am B.E. from Civil branch, can i apply for the IT dept. for the exam? Yes, you can apply for the exam. You are eligible. QWhat is the result date of GITAM GAT 2019? What is the result date of GITAM GAT 2019? How can we download GITAM GAT 2019 results? 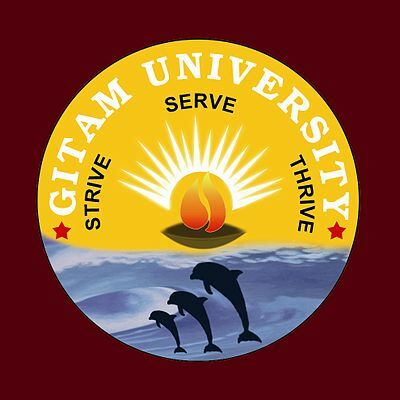 GITAM GAT 2019 Results will be announced on 30th April 2019. To know the Result download process, click here. QWhen will GITAM GAT 2019 Application Form start? When will GITAM GAT 2019 Application Form start? GITAM GAT 2019 Online Application Form will start from 11th November 2018. QWhen is the counselling process of the GAT 2018 will start? When is the counselling process of the GAT 2018 will start? The Counselling process starts on 16th of May, 2018. QCan I get admission in M.Tech courses through GAT exam? QHi, I am Raj and got 8093 rank in GAT entrance exam. can i get cse in Vizag campus? Hi, I am Raj and got 8093 rank in GAT entrance exam. can i get cse in Vizag campus?